Some 62% of South African online shoppers purchased something from an overseas retailer in the last 12 months. South Africa's estimated online shopping spend for 2018 is expected to reach R45.3 billion. This is according to a study released today by online payments company PayPal and market research firm Ipsos. This is their fourth annual cross-border e-commerce report. Interviews were conducted earlier this year. To understand the global e-commerce revolution, PayPal and Ipsos conducted a global, 31 market survey that examined 34 052 consumers' online and cross-border shopping behaviour. 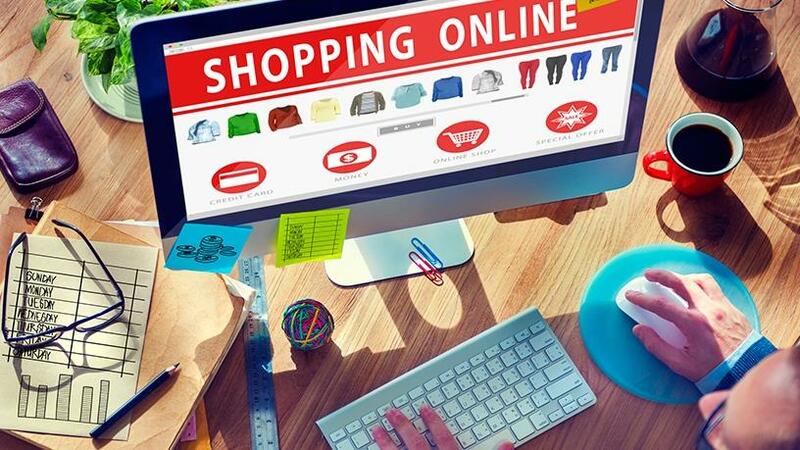 In SA, the research shows that online shopping and e-commerce are on a steady rise. According to the study, 69% of active online adults shopped online in the past 12 months, bringing the total estimated spend in 2018 to R45.3 billion, showcasing a 19% increase from 2017. PayPal and Ipsos note that online shopping is expected to increase even more over the next 24 months, with a forecasted total spend of R61.9 billion in 2020, which will showcase a 36% increase from 2018. The reason, they say, was identified by 75% of adults interviewed who indicated the convenience of shopping online. "Advances in technology, such as mobile technology and access to data, have made it easier for South Africans to shop online," says Efi Dahan, general manager for PayPal Eastern Europe, Middle East and Africa. The research found that 62% of South African online shoppers purchased something from an overseas retailer in the last 12 months, compared to 43% in the previous year. Clothing/apparel, footwear and accessories came in as the most common cross-border purchase (68%), with jewellery/watches (62%) the second most popular, and consumer electronics, computers/tablets/mobiles and peripherals being the third purchase of choice (54%). "South African online shoppers have realised that buying from overseas is not the hassle it once was, and that they can purchase must-have items, often at a better price," adds Dahan. South African online shoppers purchasing from overseas chose the US as their online shopping destination of choice (34%) due to better prices, availability and variety of styles, followed by China (28%) and the UK (16%). The research also indicated that Christmas, Black Friday and seasonal sales are the three top occasions for shopping cross-border more frequently than usual. The convenience of shopping with a mobile phone is changing the way South Africans approach e-commerce, the study found. The research indicated that 62% of online shoppers have used their mobile device for their purchases, resulting in an estimated R14.9 billion spend in 2018. This is estimated to grow to R30.4 billion by 2020, doubling in value from 2018. "Mobile technology is transforming e-commerce in Africa, and consumers are more likely to have a mobile device than a bank account," notes Dahan. "South Africans are becoming more comfortable with mobile shopping due to easy-to-use apps for ordering car rides or food becoming commonplace." Over 30% of online shoppers are concerned that they may not receive their purchased item when shopping cross-border and 24% worry about a difficult returns process. In addition, 24% of online shoppers have concerns about identity theft and fraud, as well as the security of their financial details when shopping domestically. "Through our research, it's clear that the online shopping industry is growing and is set to grow even more in the coming years. It is also clear that consumers will choose online payment partners they can trust, and that provide peace of mind that the security of their financial information will be a priority," Dahan concludes.